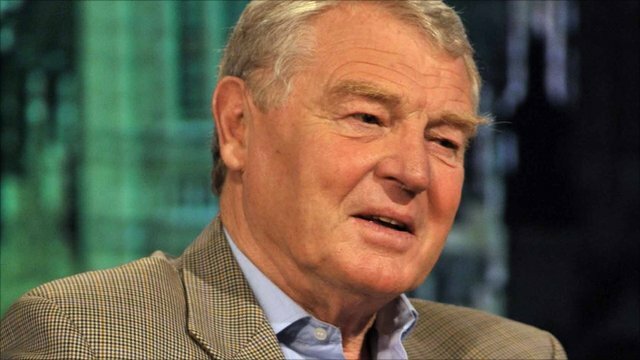 On 5 live Breakfast, former Liberal Democrat leader Paddy Ashdown challenges a student protester to explain the tuiton fees proposals. Lord Ashdown asks Georgia Emblen, a communications student at Leeds University, to explain her understanding of the coalition government's suggested scheme. "Are you going to be better off under these proposals?" demands the Peer. "Definitely not," replies the sit-in student. Lord Ashdown responds: "You really haven't looked at these proposals! They're far better than you've got at present." You can hear or view other highlights from BBC Radio 5 live by visiting the Best Bits section on the website. 5 live Breakfast is broadcast Monday - Friday, 06:00 - 10:00 on BBC Radio 5 live.